Leasing a brand-new 2018 Volkswagen Jetta has never been easier than during the special Smile It’s Spring event at Emich Volkswagen! If you have ever wanted a compact sedan loaded with plenty of great technology and built with reliability in mind, then the 2018 VW Jetta is a fantastic option for you! The current lease special is on the 1.4T Automatic version of the Jetta S. Not only does the Jetta feature plenty of great standard features like Bluetooth® Phone Connectivity and Electronic Stability Control, but the 1.4T S model also gets an impressive estimated 28 MPG city/38 MPG highway! 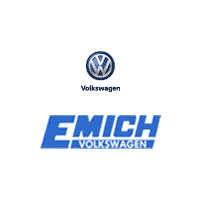 Stop into Emich Volkswagen today and take advantage of our Smile It’s Spring lease special event! Our sales associates will be present to courteously answer any questions you might have about the 2018 Volkswagen Jetta S! Whether you are trading up to a compact sedan or are looking at replacing your old one, check out the 2018 VW Jetta S and the super lease offer currently available for qualified lessees at Emich Volkswagen in Denver!